DSE panel boards are assembled and wired in our new express production plant committed in delivering the best quality switchboard at an affordable price. Safety, reliability and durability are in our DNA. Our DSE Panel Boards prove that. 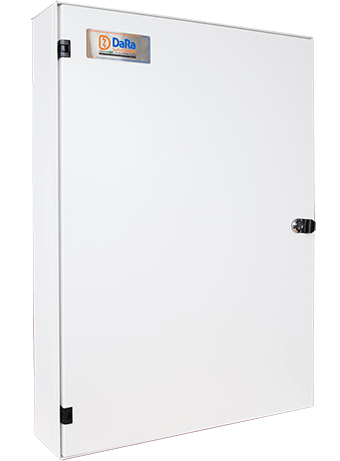 With a lockable hinged door and screwed-in gland plates, our DSE board is secure and protected from any unwanted visitors, whilst an internally and externally powder coated 1.0mm zinc alum enclosure ensures an enduring and consistent performance for years to come. At DaRa Switchboards, we aim to offer all our customers affordable DSE panel boards for all kinds of commercial and industrial applications. Whether you need one of our standard panel boards, or a custom DaRa switchboard with multiple chassis, various lighting controls, check metering, surge diverters and more, you can rely on us to deliver a high quality panel board, on time and on budget. We’re an Australian business, and all our Dara synergy express panel boards are assembled and wired in our new express production plant in Cranbourne. 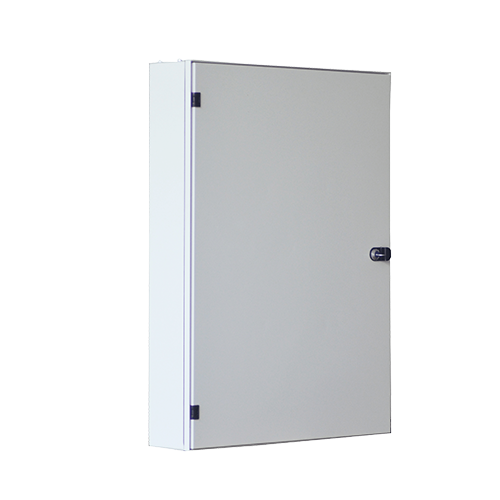 As one of the leading suppliers of switchboards in Australia, we deliver our high quality DSE panel boards Australia-wide. Offering IP42 degree of protection, with a 1.0mm Zincalume construction, the external and interior surfaces of each DSE panel board is powder coated in Pastel Grey, and comes with a removable escutcheon for extra flexibility. We also offer custom DSE panel boards for both commercial and industrial applications where the panel board is designed and manufactured to your own specifications, and which can be manufactured in a powder coating colour of your choice. If you need a custom DSE panel board for your business, simply send us your specifications and our estimators will select the most suitable panel board for your particular application and installation requirements. This will mean assessing everything from where it’s going to be installed to whether it’s going to be free standing or wall mounted. We manufacture DSS and DSG variations of panel boards that are NATA certified for IP56 rating conditions, while our DSE and DSC panel boards are installed indoors and rated up to IP42 and IP52. Once we’ve chosen the best panel board for your project, we’ll send you a quotation. Upon acceptance, our design engineers will get to work, using the latest design software and AutoCAD design tools to generate the approval and construction drawings. These will be ready for your approval within 48 hours of receiving your initial enquiry. When you’ve given your approval to begin the manufacturing process, your custom DSE panel board will be assembled, fitted with your specified electrical equipment and wired appropriately in our custom switchboard production plant in Mulgrave. It’s then undergoes its final check and QA, before you receive delivery. 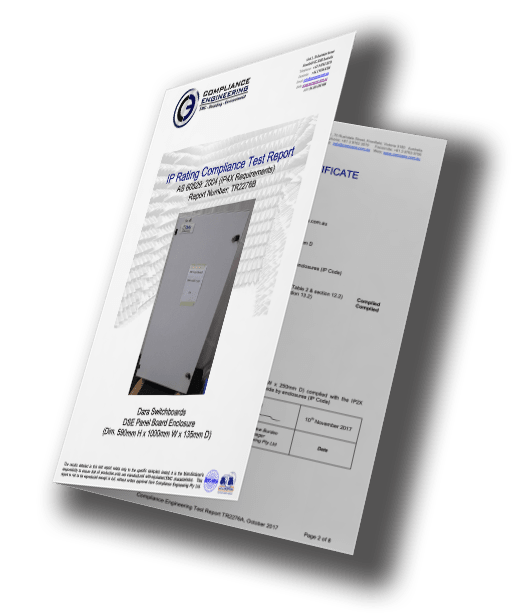 If you’d like to find out more about our standard or custom DSE panel boards, or submit your specifications for costing, call our sales team on 03 8544 3300, send an email to info@dara-switchboards.com.au, or complete our online contact form, and we’ll get back to you as soon as possible. Competitively price electrical switchboard design and available for domestic distribution. Our switchboards are competitively priced, and we believe we offer the most affordable panel boards on the market. Multiple types available. High end components designed. The customisation capabilities offered through our fully integrated manufacturing facility means our customers can order switchboards based on site-specific requirements and fabricated to match switchboard cupboard sizes as needed. 1 year warranty*, you’ll be backed by our comprehensive in-house manufacturing and on-site support. At DaRa we pride ourselves on incorporating the latest technologies, the highest standard of manufacturing and providing the best service and quality products for our customers.